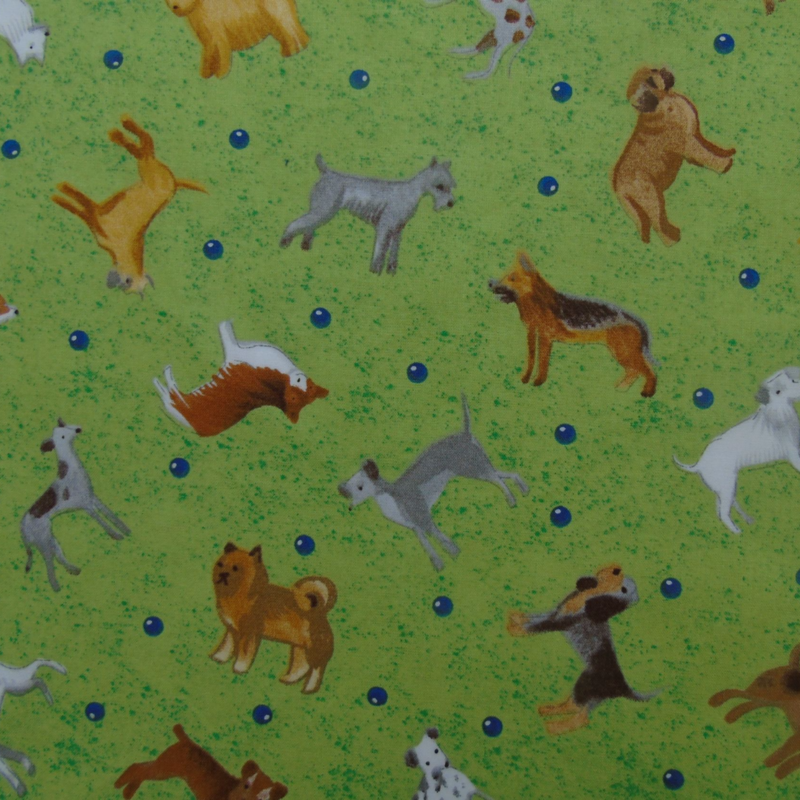 This is a gorgeous green premium designer cotton dog print. It has a cute design incorporating lots of dogs of different breeds. It's a perfect cotton to make a really stylish Droolbuster dog bib. ​​​​​Our Dudie suggestions for this print are the black and lime green towelling options. Droolbuster dog bibs are the perfect accessory for any dog that drools. The absorbant cotton Terry Towelling combined with stylish cotton prints in these bandana style bibs is serviceable, cute and super-practical. Droolbusters are available in 6 sizes.